Stunning & Model-Perfect, this Impeccable Villa in Ravinia is now available! The Linford is an OPEN floor plan w/2421 square feet of perfectly planned living space. This Fabulous Villa features 3 bedrooms, 2 full baths, a private courtyard and an attached 2 car garage. Amenities include gorgeous hardwood floors throughout ALL living areas PLUS Bedrooms, porcelain tile floors in the Kitchen & Baths, stunning Quartz countertops w/Maple cabinets & Chef's Kitchen w/Stainless Steel Appliances. Plenty of counter space for prepping, cooking & entertaining! You will love the amazing private screened courtyard w/ travertine pavers. Generously sized bedrooms w/great closet space, the Master is Huge! MORE custom touches include Plantation Shutters, Crown Molding, Chair Rail, pull out shelving in the Kitchen, & French Doors w/ embedded mini blinds! Security features include a wired alarm system w/ glass breaks, 2 keypads + a video intercom. This home is truly Turn Key and as close to Brand New as they come! Ravinia is a fabulous low maintenance neighborhood located just between Citrus Park, Carrollwood and Westchase. Community amenities include a Beautiful Lake house with a resort style pool, fitness center, multi-purpose room, built in grills, a doggie park and a tot lot. Ravinia is conveniently located to all that Tampa Bay and the surrounding areas have to offer; arts, entertainment, shopping, Beaches, medical facilities, great schools & places of worship. 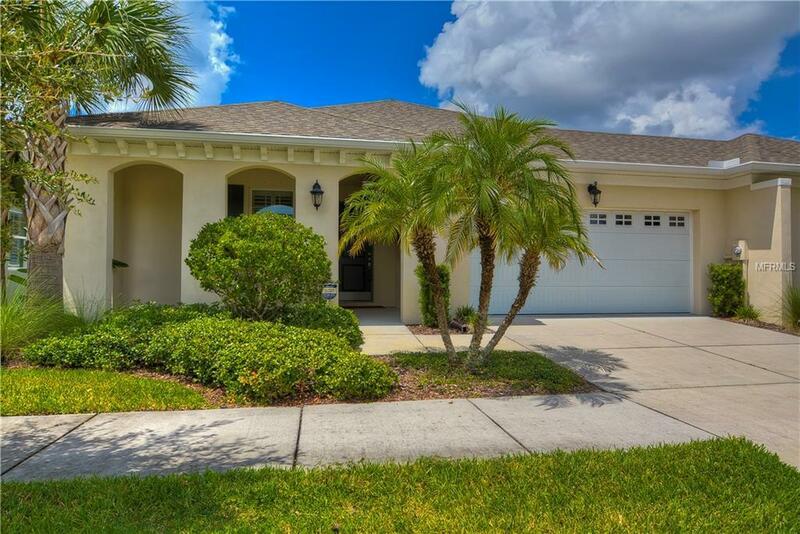 Make this your home today and live the Florida lifestyle! Pet Restrictions Please See Hoa Documents For Pet Restrictions. 2 Dogs And 2 Cats Allowed Per Household.